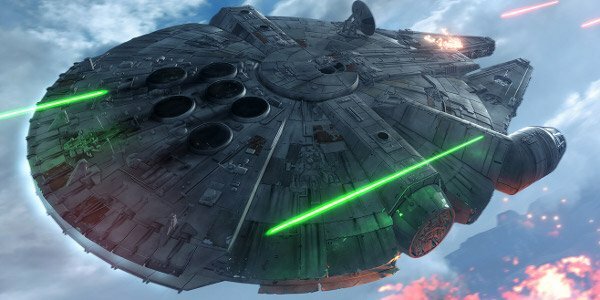 Star Wars: Battlefront's beta started this week and I've put in a lot of time in so far. Unfortunately, I'm not thrilled with what I've seen. 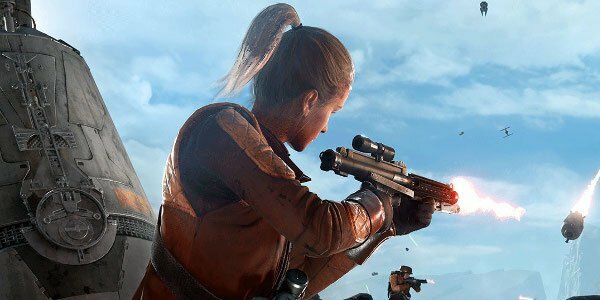 While the game looks and sounds great, there are ways that it falls short as a multiplayer shooter. Here are my biggest concerns with the game thus far. Hopefully DICE can address some of them by launch. Save for a few special weapons you'll find on the battlefield, all the weapons in Star Wars: Battlefront have infinite ammo. Your blasters will need to cool off if you hold the trigger down for too long while your other equipment can only be used once every few seconds. This means there's a whole lot of grenades being tossed around and a whole lot of sniping. As long as you stay alive, though, you can stay out in the field for an unlimited amount of time. The limited ammunition in Battlefield and other shooters put a limit on how long a player could wreak havoc. They'd eventually run out of bullets and get taken down or have to take a break form murdering the other team to find more ammo. 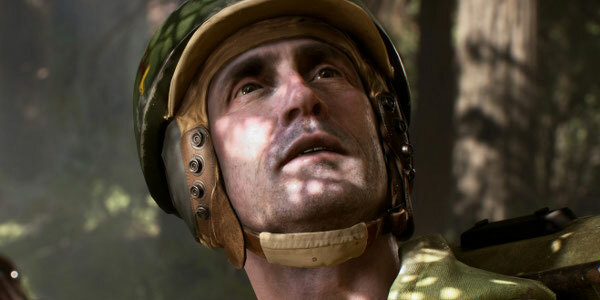 As long as you stay alive in Battlefield, though, you can stay out in the field for an unlimited amount of time. A dominant player can stay dominant through the entire match. 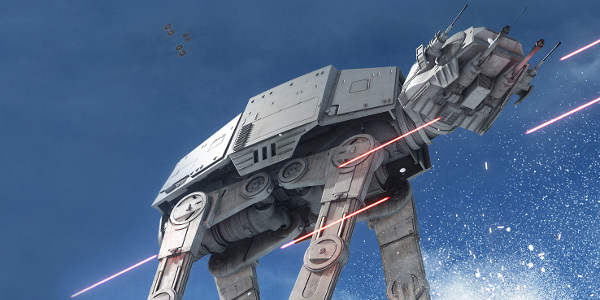 The guns in Battlefront have virtually no recoil. You point your gun at something and regardless of range, it's probably going to hit. This is problematic in a game where players can walk into battle with a sniper rifle with infinite ammo in one of their gadget slots. The result is that you'll be killed reguarly by enemies nowhere near you. It's frustrating for the sniper's targets and not all that satisfying for the sniper, who merely needs to point and click on their targets to take them down. 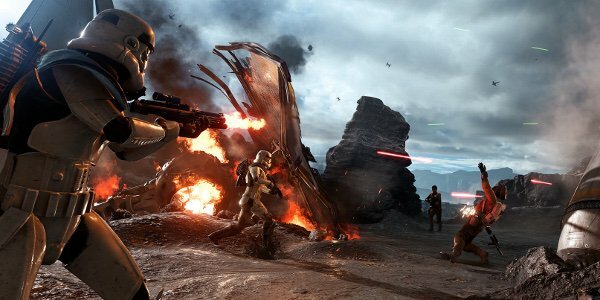 DICE doesn't allow players to go prone or crawl in Battlefront. They presumably did this to make snipers more vulnerable but this plan doesn't make much sense. The accuracy boost for prone is unnecessary because there's no recoil. The real effect is that the sniper's targets are more vulnerable because it's now much harder to find adequate cover. Plus, snipers are a lot harder to flank when they're standing or kneeling rather than laying down on their belly. With Battlefield, dead players are shown a map with possible spawn locations and also lets you see where your teammates and spotted enemies are. They have some clue as to whether it's safe to spawn at a given location and whether they'll be close enough to the battle to contribute. Battlefront only gives you two options: randomly spawn somewhere on the map or spawn at your partner if they're alive. In both cases, there's a good chance you'll end up right in the middle of battle and give someone a free kill. The beta lets players try out the 40-player Walker Assault, somewhat similar to Rush from the Battlefield games. AT-AT walkers are slowly advancing on the Rebel base. Rebels need to stop them by activating and protecting uplink stations that call in bombers. Once the walkers pass a pair of uplink stations, the rebels have to fall back to a new pair that they can use. They'll respawn somewhere behind the uplink stations currently available. However, the area behind their spawn points isn't inaccessible to the Imperials. I regularly racked up kills by hopping into a turret behind their respawn and simply gunning the Rebels down as they popped up. This mode is also feels very slanted toward Imperials. With Rush matches in Battlefield, it was very possible for the defensive team to lose badly up until the end and come through with a victory by buckling down on the last two bomb sites. In Walker Assault, the Rebels will have an extremely hard time coming back if they don't deal a significant amount of damage on the walkers at the early stages. It's a bit boring when the match feels decided so early on. Plus the match is simply more fun as the Imperials. You get to hop in an AT-ST walker and stomp or shoot up Rebels. Plus you can hop into the cockpit of the AT-AT and absolutely wreck everyone with heavy weapons. Being on the opposite end of this heavy artillery just isn't that entertaining.